The President of Kenya Uhuru Kenyatta has revealed a plan to reach 100% clean energy sufficiency by 2020, as part of the East African nation’s pledge to address climate change. Speaking at a roundtable discussion on climate change policies at the Paris Peace Forum, Kenyatta said that renewable energy already provides 70% of Kenya’s installed electric power capacity in concrete terms. The President discussed how sizeable investments have been made in the renewables sector, which have allowed Kenya to triple the size of its population served by the electricity grid. More than 60% of Kenyans now have access to electricity. “Our target is to attain 100% green energy sufficiency by 2020. We will do this while we achieve 100% access to power for our population, and sharply lower costs to industry to aid our manufacturing push,” said Kenyatta. “To do even more, we need support from the Green Climate Fund and other mechanisms to enhance our green energy capabilities and accelerate adaptation and mitigation of the impact of climate change,” he added. 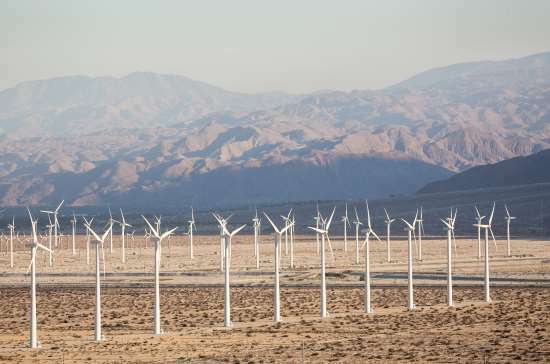 The Lake Turkana Wind Power project was fully connected to Kenya’s national grid last month, making the 310MW site the largest African wind farm currently in operation.